We all know the power a statement piece of jewellery holds when it comes to adding some drama to your look. And these days, it's all about edgy, statement pieces as opposed to small, dainty ones. This one’s a recent—the kween of style chose a pair of structured earrings by Suhani Pittie to go with her showstopper outfit at the Lakmé Absolute Grand Finale. Deepika Padukone’s much talked about MTV EMA look is something we can never forget—even almost after two years! We loved her OTT tassel earrings by Valliyan that added so much edge to the look. Sonam’s choice of earrings with this salmon coloured suit may have been questioned—but we’re not complaining ‘coz she can pull off the most unconventional combinations with so much ease. She’s quite a risk taker and it always works in her favour! Sonakshi Sinha’s style game is getting stronger with every appearance. Her statement ring and earrings by Flower Child were something we couldn’t help but admire. They were a perfect accessory combination to wear over a structured suit. Bollywood’s obsession with tassel earrings is real, you guys. 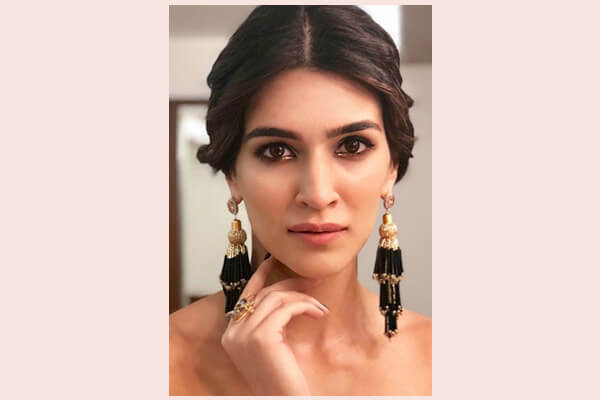 We can’t get over Kriti Sanon’s dramatic tassel earrings that add so much dimension to her shoulder-baring number. Next time you wear a shoulder-baring outfit; don’t forget to accessorize it with tassel earrings for perfect drama! When we speak of statement jewellery, Outhouse is a brand that we just cannot miss. 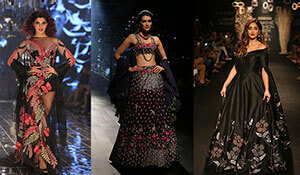 We love Bipasha Basu who dolled up her solid Gauri and Nainika outfit with stunning jewellery by Outhouse. Chokers never fail to make a statement. Ditching the basic black choker, Alia chose a muted pink choker and added an extra neckpiece to make for a statement-worthy look. We love!